One of the most controversial video game events of 2015 was Konami’s cancellation of the Silent Hills video game, which was to be a collaboration between star director Guillermo del Toro and legendary Japanese designer Hideo Kojima. 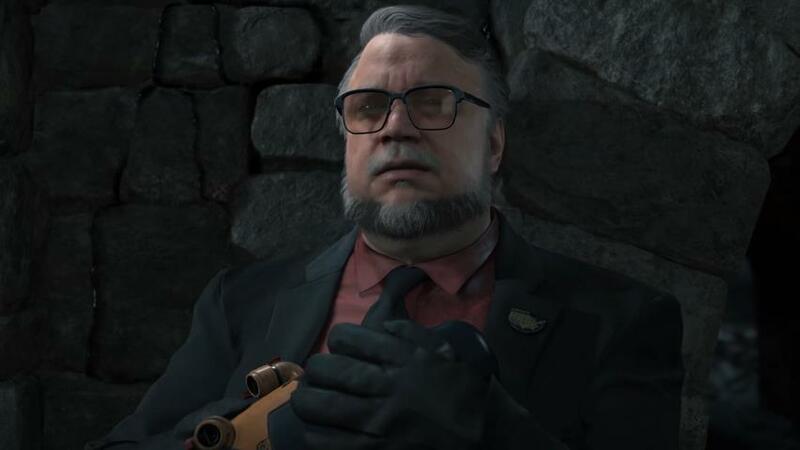 Kojima was subsequently sacked by Konami after his highly anticipated Metal Gear Solid V game went on sale, and his former collaborator Guillermo del Toro could not hide his disgust with Konami’s ill-treatment of his colleague and the cancellation of Silent Hills, recently tweeting “f*ck Konami” and calling the game’s cancellation “moronic”. Kojima may yet get his revenge, though, as the ace designer is now working with Sony Interactive Entertainment on a new game titled “Death Stranding”, which may feature some of the ideas and concepts Kojima had in mind for Silent Hills. And not only will actor Norman Reedus, whom Kojima had tapped for Silent Hills be appearing in Death Stranding as we saw in an earlier trailer, but it seems director Guillermo del Toro will be lending his likeness to the game too. Actually, the renowned director appears in Kojima Productions’ latest trailer for Death Stranding which was recently shown at The Game Awards, which is nothing short of weird, truth be told. But however weird it might be, it’s clear that this latest Death Stranding trailer does look fantastic, although hopefully Kojima’s upcoming game won’t end up being a case of style over substance. It’s still early days, though, and the final game might end up looking quite different to what is seen in this trailer, but here’s hoping the final game is as eye-catching and original when it’s released for PS4 and PC sometime in the future.